So far, we haven't found any person yet who don't like a strawberry. It is an international fruit. The world loves it. 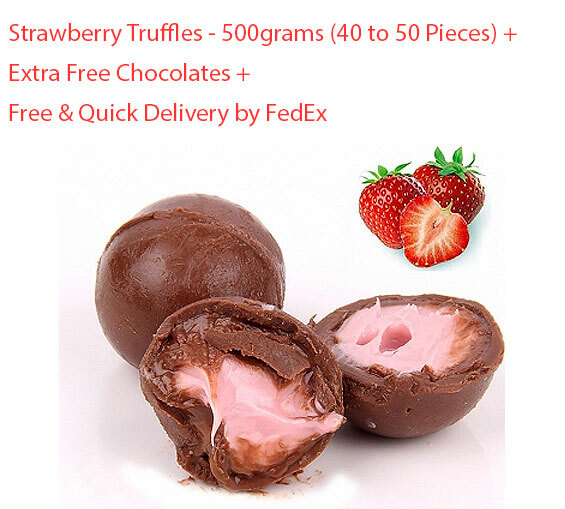 Our strawberry pulp cream inside our decadent truffle makes for a truly delicious flavor explosion that you will enjoy with each and every bite. Truffle means Chocolate Ladu (Laddu), every truffle is center filled with soft and juice. In 500 grams you will get about 40 to 50 chocolate truffles. 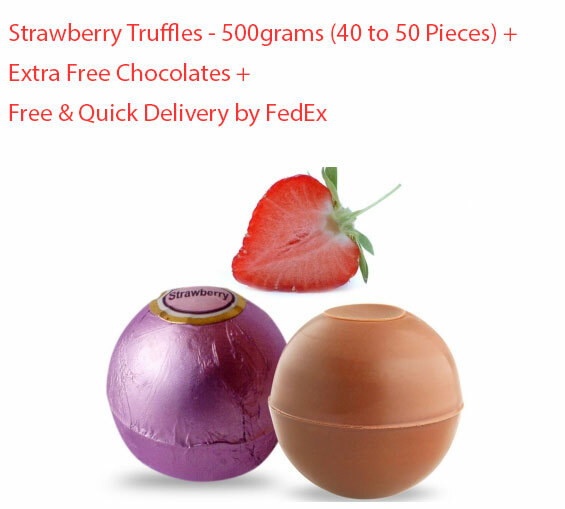 We give free chocolates with every order, the quantity of the free chocolates is dependent on the amount of the order. Once you receive our chocolate box, please keep the chocolates in refrigerator for 30+ minutes before eating them. We suggest you to store our chocolate in cool and dry places to preserve the best aroma and taste of the chocolate.